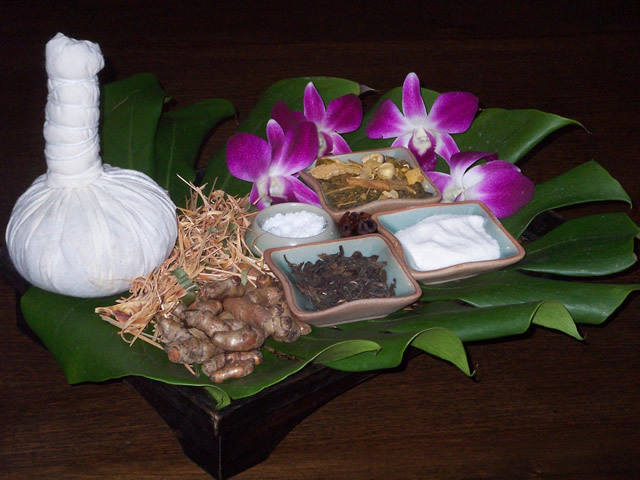 The blend of herbs is the traditional recipe of the Wat Po temple in Bangkok. Manufactured in Chiang Mai, they are certified by the government as authentic. This special blend of herbs helps to relieve muscle and joint pain, increases blood circulation, and nourishes and revitalizes the skin. Our body care products contain Prai, Lemongrass, Jasmine, Lavender, and essential oils as our main ingredients. These popular fragrances are well known for their refreshing effects, while their organic properties provide rejuvenation of the skin.